The accuracy of an analysis tool in your farm. This compact and economical tool allows you to analyze precisely the humidity, specific gravity and temperature of your cereals or seeds. Il GAC 500 XT è l’ideale per una misura veloce: basta collegarlo alla corrente di rete o alla presa accendisigari della vostra macchina, scegliere il prodotto, caricare la cella e premere un bottone. 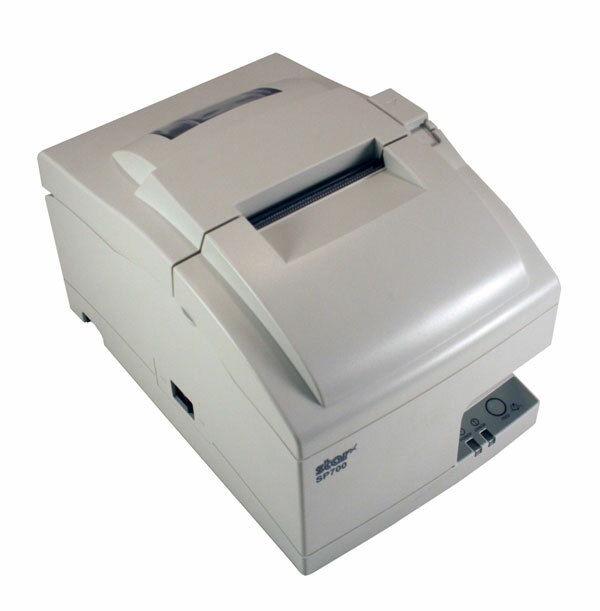 Very easy to use, the GAC 500 XT can be connected to a printer to issue receipts with the reading performed. Calibrations for 16 different cereals can be stored in the memory of the device, but over 450 calibrations are available to be loaded on board the instrument if necessary. The best product available on the market for the farm! 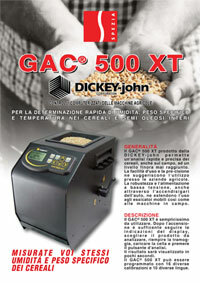 The GAC® 500 XT produced by DICKEY-john allows a quick and accurate analysis of cereals, even in the field, to a level never before achieved. Ease of use and accuracy suggest its use at farms. The robustness and low voltage power supply, even through the car cigarette lighter, extends its use to mobile driers as well as to the machines in the field. 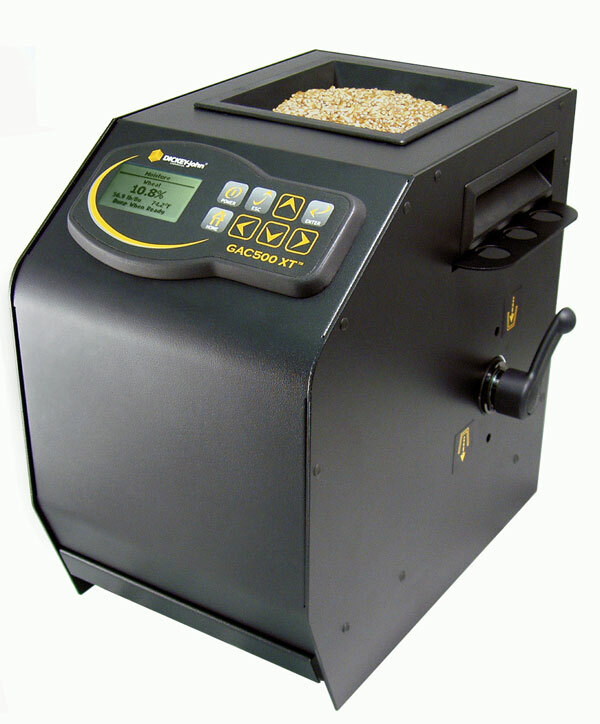 Moisture, specific gravity and temperature measurement on all cereals and whole oil seeds. Continuous and automatic self-checking with verification of the entire electronic system. Transportable for field use (12-24 Volt power supply. Also suitable for mains voltage (220 Volt). Can be used after a few minutes from the installation. Click on this image to open the brochure.